It's inspiring that so many good people looked out for Mr. No Ears. I would love to read his whole story! It's amazing how resilient animals are. I think part of it is that they don't appear to attach emotion to what was lost (an ear, an eye, even a leg). They don't spend time wishing for things to be different or missing what used to be. They adapt and carry on. I found this post on Wonderful Wednesday Blog Hop. I had a beloved orange cat named Louis. He was born with a cauliflower ear. He got into a fight with a neighbor's cat, Hathaway, who had one eye. Fortunately, because of the scuffle, we found out he had a tumor which we had removed from his ear. I miss both cats dearly. This post just reminds me of them and makes me miss them more! Please enter me in the contest as well. 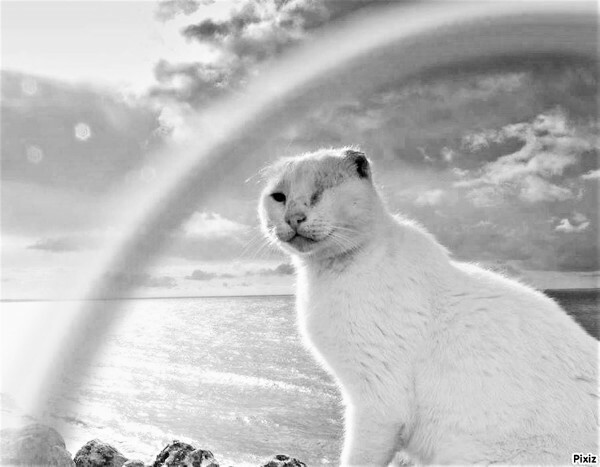 I would love to read more about Mr. No Ears! I've been a fan of Mr. No Ears since his days on Facebook. 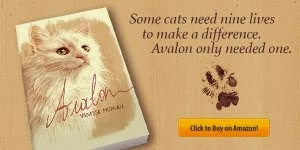 I just can't say enough wonderful things about this dear kitty cat and his very sweet book! 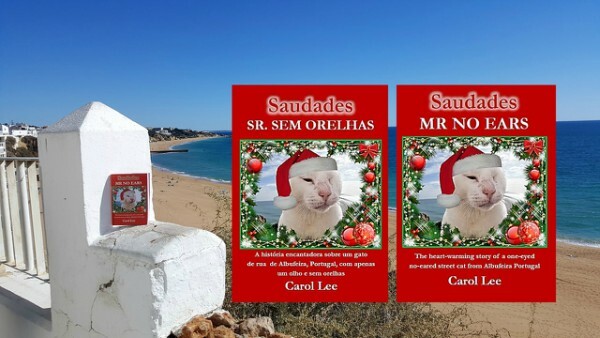 Saudades Mr. No Ears highlights the plight of street cats the world over and the caregivers who strive to provide them with comfort and care. Thank you Traveling Cats for this lovely article. We have not heard of Mr. No Ears. Thank you for featuring all these wonderful kitties all over the world. 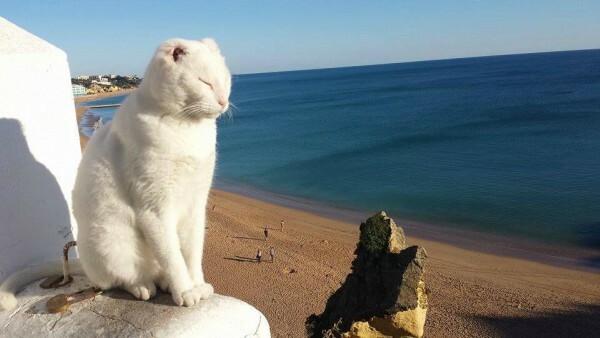 What a shame, I had never heard of Mr. No Ears, nor did I see him when we were in Albufeira some years ago. The video brought me to tears. I have a huge soft spot for white kitties. Bless the caregivers of these precious souls. I didn't know of Mr. No Ears before. As I cat lover I would love to read his story. A bitter sweet story, a bit sad to read. We've never heard of Mr. No Ears. Thanks for sharing his story with us...even if it doesn't have a happy ending. Bless his heart! I've never heard of Mr. No Ears. 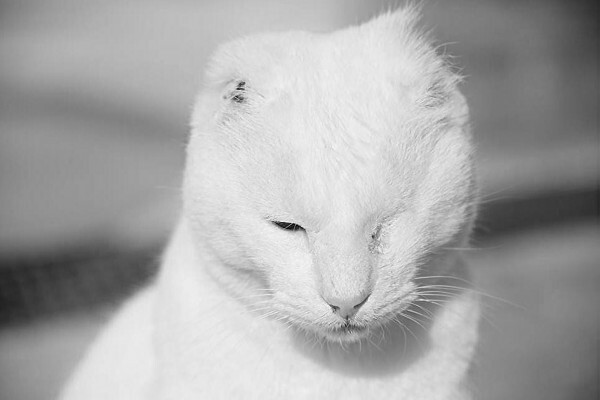 I never heard of Mr. No Ears and his story so touches my heart! I have never heard of Mr. No Ears. Thanks for sharing it with me - it brought me to tears. I think this story would be fascinating!! Mr No Ears reminds me of my beloved white cat. What a heart warming story. But I must say I have tears in my eyes due to the way he died. A sad story but his legacy lives on. I'd love to win a copy and would do a giveaway. Btw, please contact me re: your new book. I have never heard of him either! I know my youngest girl would really love to read this. I have never heard of Mr. No Ears. Thanks for sharing it. So sad. Thank You for sharing this post and for a chance to win this book, Merry Christmas. I could use some happy moments, upside we all love cats. Oooh the cutest one I've seen on your blog I think! :) although he has short fur he looks like fluffy and soft to the touch <3 I work in cat sanctuary (to be more precise I'm a volunteer) and I feel a lot of love to disabled cats. I feel pity, that they're deprived of something, but all in all, they don't treat their disability like something negative, they just live their lives and they are so thankful and joyful, that people should learn it from them! What a wonderful story. I love the resiliency of this cat. This story is so sweet and inspiring. Thanks for sharing. This is an amazing things to travel with pet, your cat looking so beautiful and cute. Thanks for sharing these all wonderful photographs with us. Thanks for sharing this tour experience with us, Portugal is a fascinating country with a proud history that can be felt all throughout the country from its capital. This post is very Awesome and mind blowing. thanks for sharing this attractive pictures and this post. The history of the relationship between http://catandcats.com/ and man dates back to over 9,500 years. 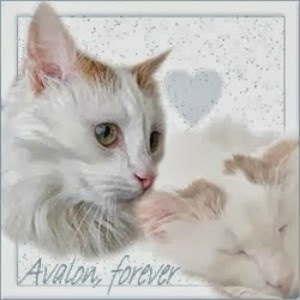 Cats have become part of the history of many nations and civilizations as well as being a popular subject of legends. 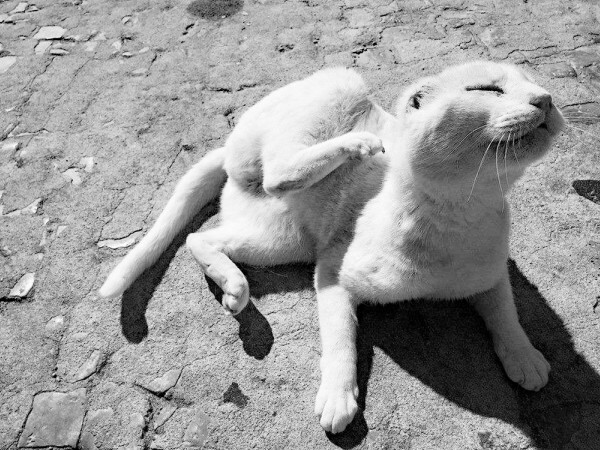 Information on Cat and Cats and declawing. Describes what declaw surgery really is, alternatives to declawing, a YouTube video with a declaw surgery gone horribly wrong. 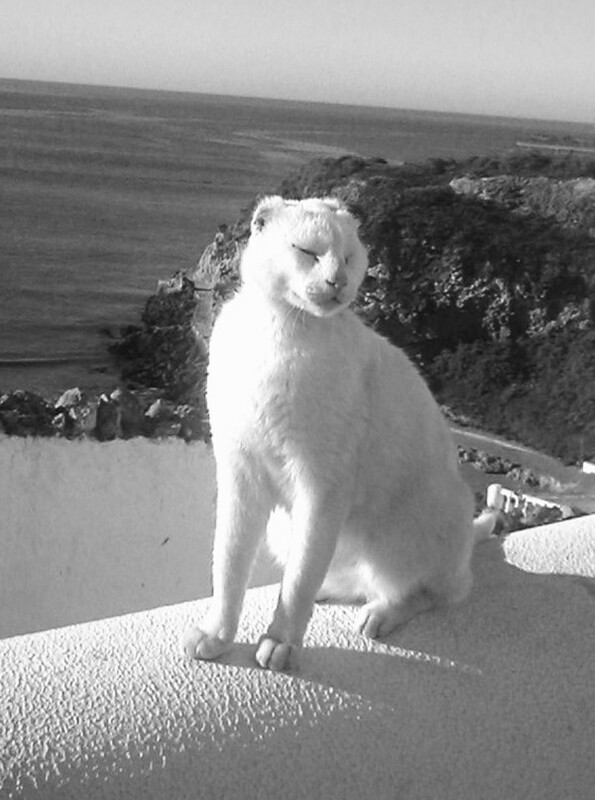 Excellent discussion, thanks for sharing the cat from albufeira portugal. It really great information and wonderful photos. Great suggestions for the users, thank you very much for shared stunning photos. 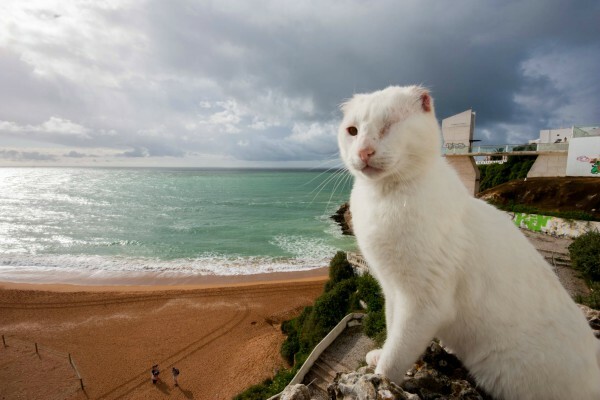 Interesting pictures and earless, one-eyed cat from Albufeira, Portugal. I really like this blog. 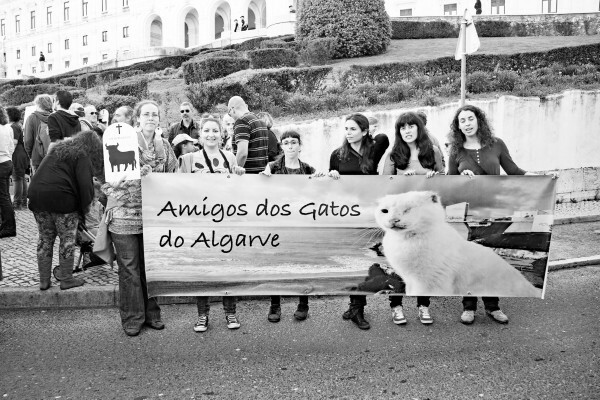 These blog comments are good, it give you a perfect photos shared about cat from Albufeira. Thank you very much for blog post, it really impressive photos sharing. This is good news for the best travel users. If you have to do travel to India enjoy Royal journey get book Maharaja Express Train Tour from Delhi to Rajasthan. Good Job, I like these all articles and thank you very much for sharing it. This blog is very Awesome and mind blowing. thanks for sharing this attractive pictures and this blog. I am really thankful to have the information from this blog.